"Presenting The Great American Songbook in the Styles of Dave Brubeck, Miles Davis, George Shearing, Terry Gibbs, Bill Evans and Other Jazz Icons. 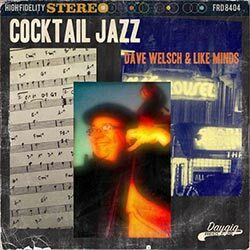 “Dave Welsch & Like Minds” offers cocktaill and dinner Jazz Duos, Trios, Quartets, Quintets and Sextets with combinations of Piano, Vibes, Guitar, Saxophone, and Bass selected specifically for your event. With hundreds of years of combined Musical and performance experience, you’re sure to be pleased with what you hear.